0.75ltr Blenheim Lead Crystal Panel Ships Decanter. 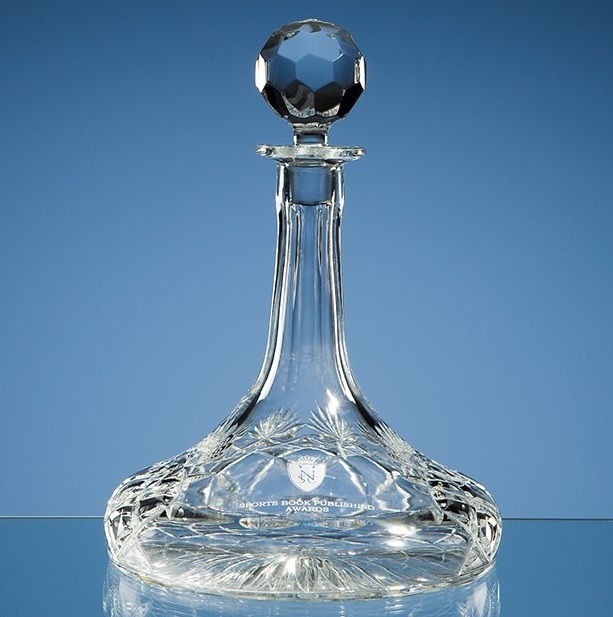 The traditional Gallery lead crystal ships decanter is hand made and cut and has a large engraving panel. The decanter measures 285mm x 200mm. It weighs 2.4kg unboxed.